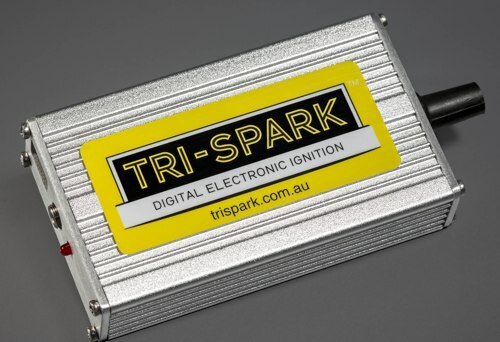 Now available is the Tri-Spark FireBox Pro ignition for Moto Guzzi in response to requests from riders who wanted a reliable and high performance system for their machines. This system suits engines with the ignition points located in a distributor style housing behind the right side cylinder such as the California, Le Mans, V7, Eldorado, Ambassador and others (1960s to 1980s). 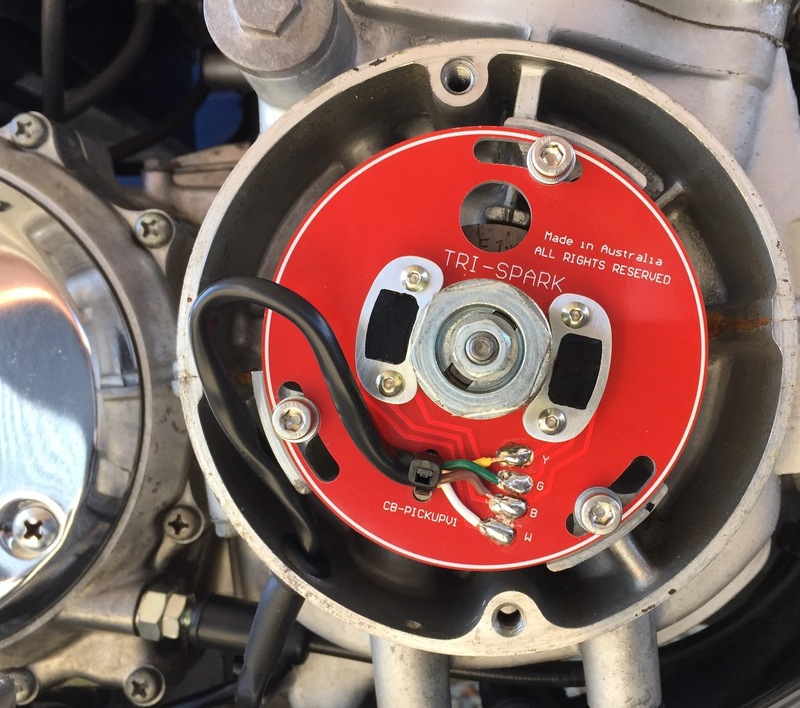 The Tri-Spark Pro for Moto Guzzi is based on our Honda Four FireBox Pro which has been in development for 6 years and on the market for two years with many happy customers around the globe. The Tri-Spark FireBox system has a simple engine pickup which is adaptable for a variety of engines and a PC programmable control box making it perfect for the Guzzi. The FireBox Pro is our highest spec system with a high speed processor which is tuneable using the optional PC cable and software but don't let that put you off - we send the kits out programmed and ready for action! What can you expect from the FireBox Pro Guzzi system? Stronger sparks, Easy starts, ultra stable ignition timing giving your machine a lift throughout the rev range. 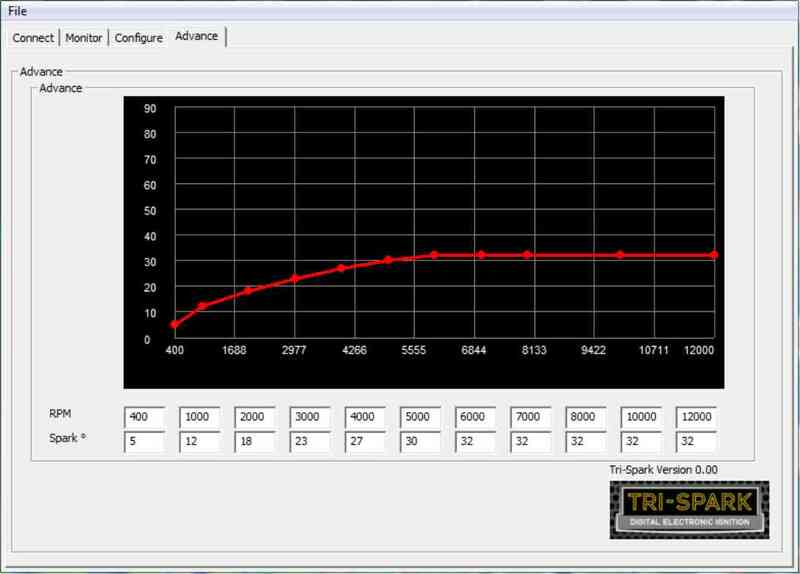 Not relying on the mechanical auto advance unit for the timing sets us apart from the competition. We offer this kit for use with a variety of ignition coils like our IGC-1012 coils for single plugged heads or the IGC-2012 for dual. We can also tune the box for use with a range of other coils for high performance and racing applications.